trips that focus on the non-cognitive skill of a growth mindset. Hiking to mountain tops, lakes, or a multi-day backpacking trip can serve as the supporting application and experience of the introductory lessons of leadership, group dynamics and expedition behavior. All hiking activities promote a growth mindset, contain a level of difficulty that challenges the students to find success. This lesson is structured in two parts steps towards understanding and points for discussion. A mindset changes this picture from loneliness to solitude, dangerous to adventurous, exhausting to physically invigorating. 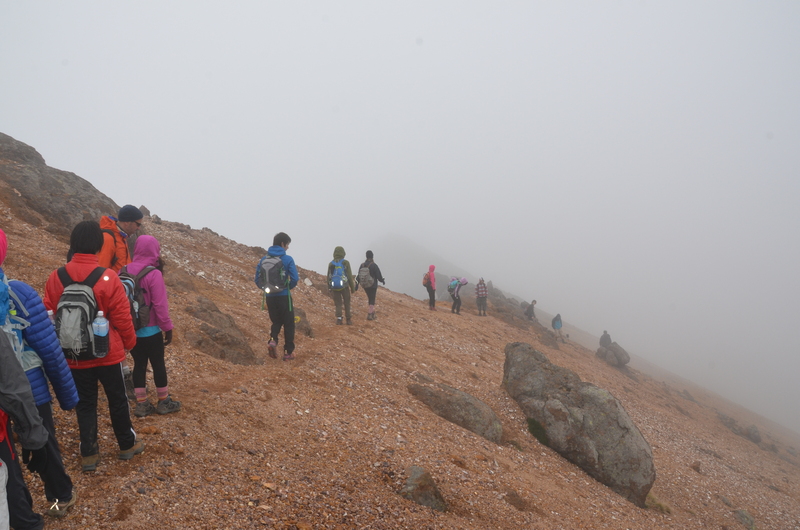 This lesson will be a guide for how to support the leadership components with an emphasis on developing a growth mindset during a hiking experience. This lesson provides an introduction to a student’s growth mindset, a look at examples of growth mindsets and then self-reporting activities on their current mindset. During the hike, students complete self-reporting activities on their mindsets and then engage in a post hike discussion and current mindset assessment. The information, links and additional materials below may be organized or omitted for the best results depending on the needs of the teacher. A guide to shifting the mindset. 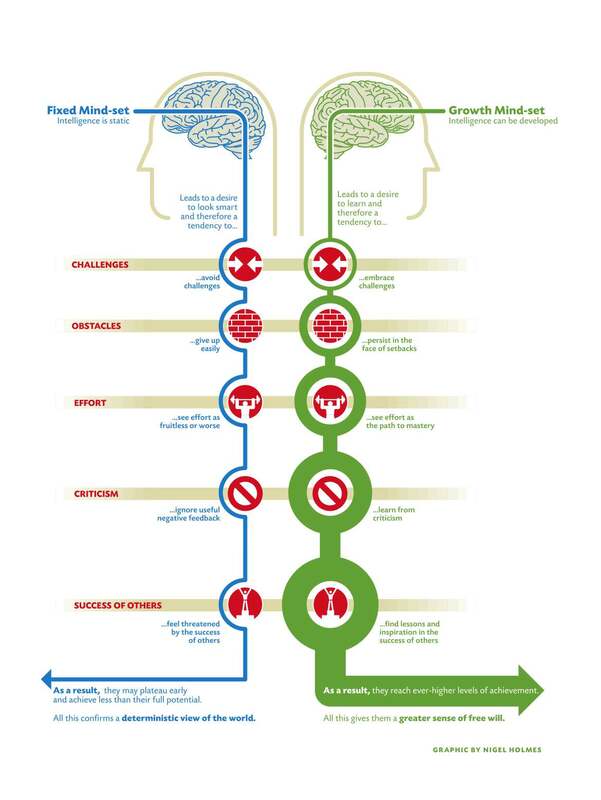 Source: mindset chart Dweck (2009). What is your own mindset? How have you overcome or succumbed to failures, challenges and shifting perceptions to find success and happiness? What is this mindset of the bike rider? What statement from the bike rider fits the guide (on the right) to shifting mindset? If you suddenly went blind, couldn’t walk, how would you react? Could you react positively? Think of a time you gave up or quit something. What made you quit? What was the obstacle? What has been your most challenging accomplishment? Why did you succeed? How did the speaker in the video clip change his perspective? Compose a journal entry discussing the results of your mindset test. What do you think is correct? What do you think is incorrect? Is this beautiful or intimidating? Depends upon your mindset. To thoughtfully consider the different facets that make them a complete person and begin to identify leadership styles, each member of the group completes the following in their OLP journals and during group discussions. Leadership styles introduction before trips with self-identification of strengths and weakness within the leadership structure. As the group hikes to the top, discuss group dynamics, personal limits and student leader roles.